John McAfee the founder of first ever antivirus software “McAfee” announced that he is releasing “the most hack-proof smartphone ever” this year. John McAfee in his interview to Newsweek revealed that MGT (John McAfee’s cybersecurity company) will be releasing a smartphone this year – Which he believed is the most secure and hack-proof smartphone ever manufactured. McAfee believes that there is a large number of audience; who are looking for devices that cannot be hacked. The target audience of John McAfee smartphones will be U.S top enterprises, journalists and anyone who are extremely cautious about their security. WikiLeaks ( a whistleblower organizations) has recently reveled that no messaging application is secure from CIA hackers. WikiLeaks documents explains how CIA is breaking into the U.S citizens smartphones and messaging apps successfully via weaponized hacking tools. These acts from security agencies has increased the need of a secure smartphone – which John McAfee is planning to launch this year in November. He assures that; his device will be not only hack-proof but, it will be an enormous hit in U.S markets. He is already planning the next model of his “John McAfee” smartphone; which will be released next year. John McAfee smartphone users can also remove different features from their phone like; Bluetooth, WiFi, microphone, camera and even Geo location wireless hardware. The detailed features of the smartphone will only be announced weeks prior to the launch anticipated in November this year. The price of the smartphone will be $1,100 . Which is quite colossal, when compared with flagship iPhone or Galaxy smartphones. However, since McAfee believes that his devices are specially manufactures for Enterprises the price should not be an obstacle in the success of this smartphone. 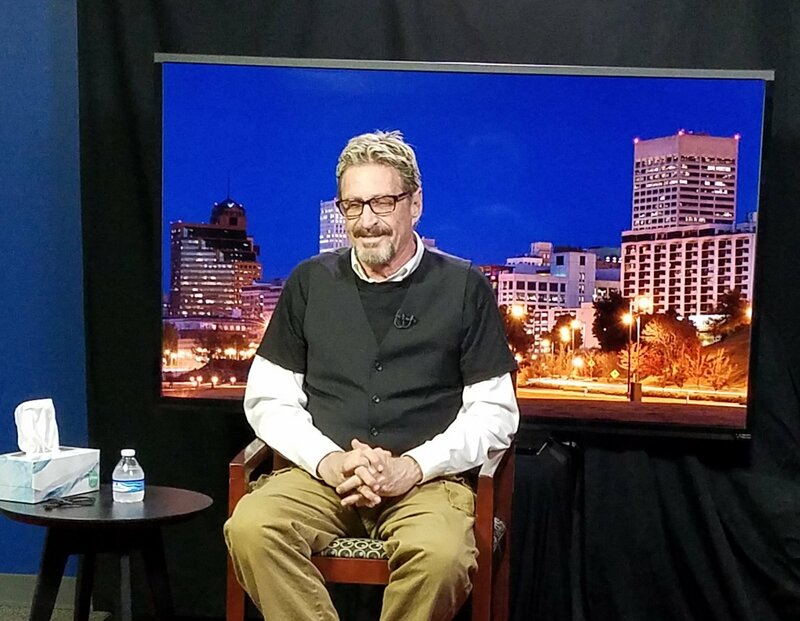 Source: Twitter – McAfee antivirus founder John McAfee discussing about his upcoming smartphone. 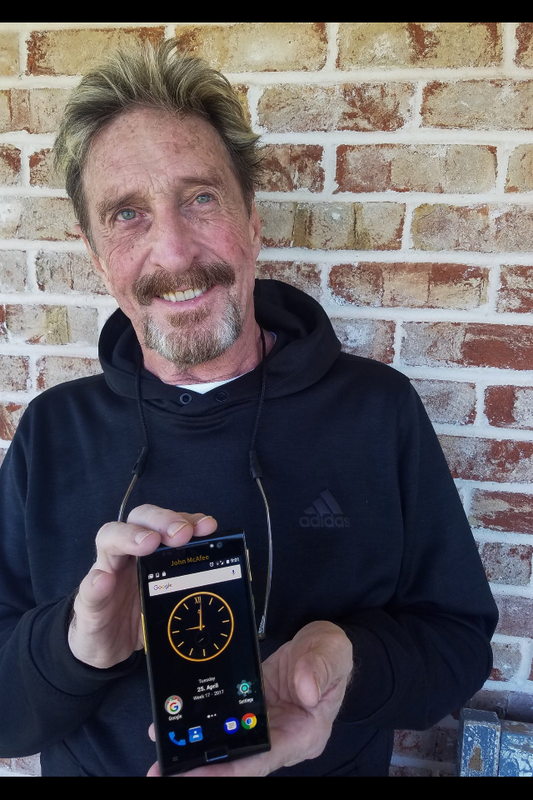 John McAfee is making a big return in tech industry with this security smartphone. He has a long list of accomplishments and controversies throughout his life. He became the father of security; when he launched the first ever antivirus in 1987. Shockingly, he left his company in 1994 and since have been the part of various controversies; which even included a murder of his neighbor in some third world country. Even with his controversial background there is not doubt that a hack-proof smartphone will be welcomed among peers of tech industry.